United Way of Greater Cincinnati’s Stable Families Program is a multi-generational program that addresses the needs of families on the edge of homelessness. The program ensures that families stay in their homes and children stay in school. One of our partners in this work, with Santa Maria Community, shows how important it is to meet the needs of parents and children simultaneously so that the entire family can thrive. Lori’s success with Stable Families and other programs at Santa Maria shows the importance of holistic family services provided by a skilled and compassionate staff. Lori is a single parent with five children, one of whom has a disability, and she does all she can to help her children succeed Like many low income families, Lori has multiple challenges that make it difficult for her family to remain stable and for her children to thrive in school. By working with Santa Maria Community Services and other partners, Lori and her family obtained multiple supports to achieve housing stability and to provide her children a better opportunity for academic success. Lori regularly meets with a Start Strong home visitor to ensure the healthy development of her youngest children. Lori also participates Santa Maria’s Promoting our Preschoolers (POP) program to ensure that her children will be kindergarten ready. POP provides home-based services to families to promote early childhood development. 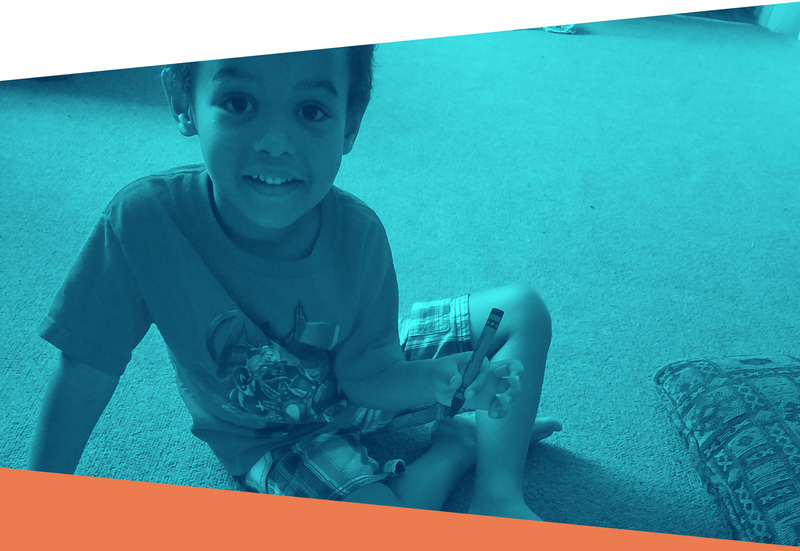 Lori worked with her POP home visitor to create a learning plan for her sons, Jeremiah (age 4) and Kaleb (age 3). Jeremiah’s first goals were to write his first name and identify numbers 1-20. Jeremiah is now writing his first name and has identified his numbers 1-10. Kaleb’s first goals were to identify his first name and verbalize his needs rather than pointing and crying. Today, Kaleb is able to identify his name, and he is verbalizing his needs more frequently. Lori‘s POP home visitor also referred her to Santa Maria’s Stable Families Program – a program focused on housing, income, and school stability – after learning that Lori felt her home was not safe. Through Stable Families, Lori participated in Santa Maria’s Tenant Education class and her case manager helped her find a new home for her family. In addition, Santa Maria staff helped Lori enroll her children in a high quality private school near her new house! Finally, Lori has begun working with a Financial Coach at Santa Maria and she has opened a bank account. With stable housing, improving finances, and excellent schools for her children, Lori is leading her family toward a successful future.